In a previous tutorial we saw how to use the netstat command to get statistics on network/socket connections. However the netstat command has long been deprecated and replaced by the ss command from the iproute suite of tools. The ss command is capable of showing more information than the netstat and is faster. 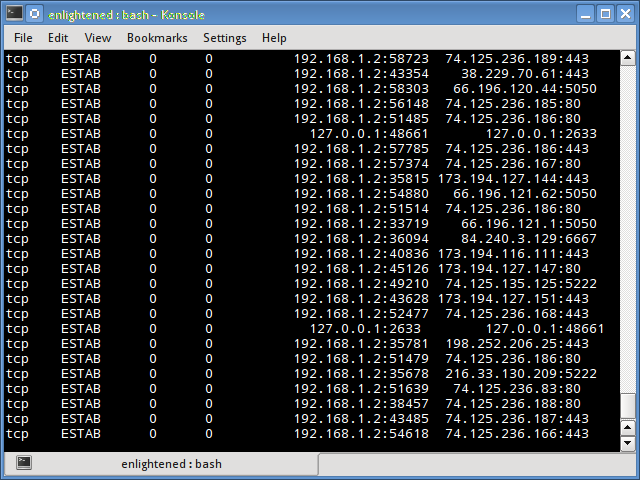 The netstat command reads various /proc files to gather information. However this approach falls weak when there are lots of connections to display. This makes it slower. 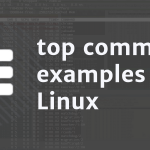 The ss command gets its information directly from kernel space. The options used with the ss commands are very similar to netstat making it an easy replacement. So in this tutorial we are going to see few examples of how to use the ss command to check the network connections and socket statistics. The simplest command is to list out all connections. We are piping the output to less so that the output is scrollable. The output will contain all tcp, udp and unix socket connection details. To view only tcp or udp or unix connections use the t, u or x option. By default the "t" option alone is going to report only those connections that are "established" or CONNECTED". It does not report the tcp sockets that are "LISTENING". Use the '-a' option together with t, to report them all at once. The a option tells ss to report both "CONNECTED" and "LISTENING" sockets. Since UDP is a connection-less protocol, just "ss -u" will not report anything in most cases. Therefore we use the "a" option report all UDP connections (connected and listening). Similarly use the x option to list out all unix socket connections. To get the output faster, use the "n" option to prevent ss from resolving ip addresses to hostnames. But this will prevent resolution of port numbers as well. This will list out all the listening sockets. For example apache web server opens a socket connection on port 80 to listen for incoming connections. The above command lists out all "listening" "tcp" connections. The n option disables hostname resolution of the ip addresses giving the output faster. In the above output the last column contains the process name and pid. In this example dnsmasq is the process name and 1299 is the pid. The s option prints out the statistics. To display only IPv4 socket connections use the '-f inet' or '-4' option. To display only IPv6 connections use the '-f inet6' or '-6' option. The ss command supports filters that can be use to display only specific connections. The filter expression should be suffixed after all options. The ss command accepts filter in the following format. Now here are some examples of how to filter socket connections by socket states. To display all Ipv4 tcp sockets that are in "connected" state. 14. bucket - Show states, which are maintained as minisockets, i.e. time-wait and syn-recv. 15. big - Opposite to bucket state. Note that many states like syn-sent, syn-recv would not show any sockets most of the time, since sockets remain in such states for a very short time. It would be ideal to use the watch command to detect such socket states in real time. $ watch -n 1 "ss -t4 state syn-sent"
After running the above command, try opening some website in a browser or download something from some url. Immediately you should see socket connections appearing in the output, but for a very short while. Apart from tcp socket states, the ss command also supports filtering based on address and port number of the socket. The following examples demonstrate that. Display all socket connections with source or destination port of ssh. Ports can also be filtered with dport/sport options. Port numbers must be prefixed with a ":". The above examples cover most of what the ss command supports. For more information check the man pages. The file /usr/share/doc/iproute2-doc/ss.html contains details about the ss command filter syntax. Thank you very mush for your article, very useful. Thank you! Very useful indeed. Thanks for the examples. Noticed a few things. Example 9 has text saying the command shows all TCP “connected” states  however the command example below the text is only showing connections in the established state . very useful for getting an overview. Thanks! My experience is that on a RHEL 6 system, netstat -anp takes 0.161 seconds to run, while ss -np takes 6.7 seconds. If by faster you really mean 416 times slower, then I agree. Very useful information – thank you!